Celebrate Earth Month with Pay-Less! Embedded in our mission statement is to “care for our community”. 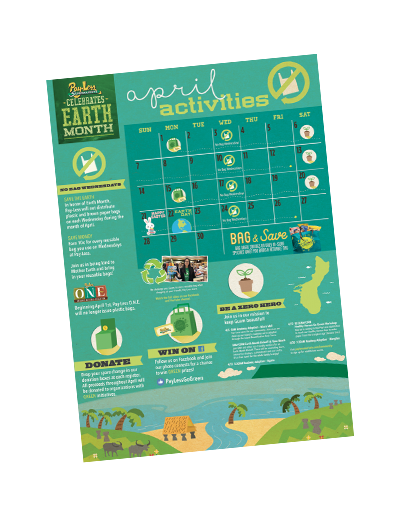 In honor of Earth Month, Pay-Less has many events and activities that help to protect and preserve Guam’s natural resources. Join us all month long! This Earth Month, throughout the month of April, we challenge you, Guam, to use a reusable bag when shopping at your friendly Pay-Less store. Get the latest news on exciting things happening in our stores delivered to your inbox! Get the latest news on our community care events, Dinanche Deals and exclusive offers emailed to you directly. The event registration has closed.